Back in 1948 furniture designer Poul Cadovius created the world's first wall-mounted shelving system, The Royal System. Apart from the wall-mounting feature it was innovative for its time due to light styling and the many combination possibilities. With its modern appearance Royal System is suitable for both residential and commercial interior design, it is available in walnut veneer or oak veneer. Surface treatments available are oiled, lacquered, soap or white oil. The graceful side hangers are available in either stainless steel or brass. 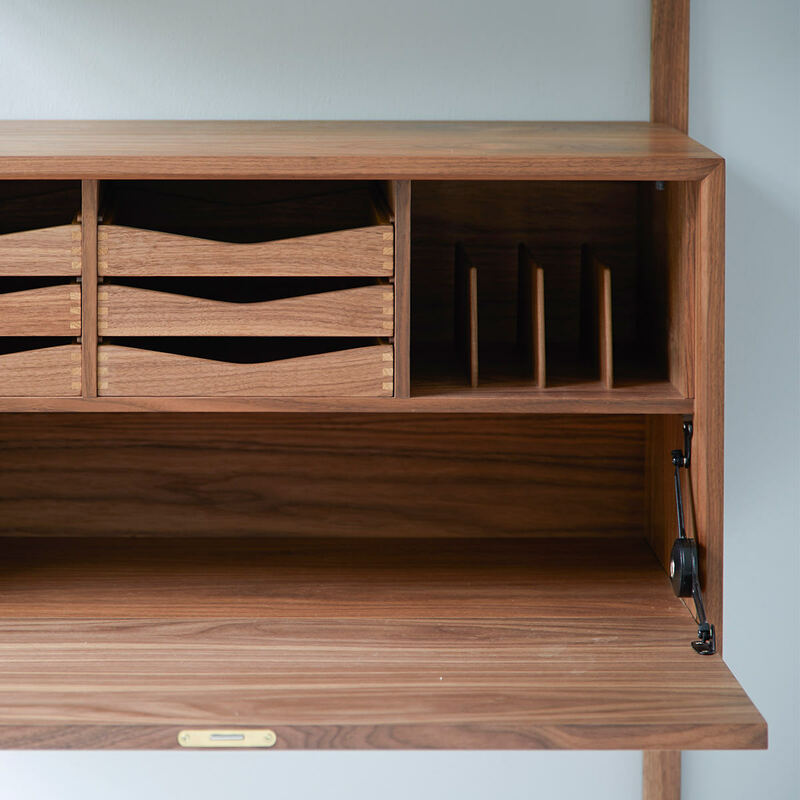 Pictured here in walnut timber. Each Royal System shelf can hold up to 30kg. Contact us for pricing on specific configurations.